Disney is embarking on another Star Wars venture that's strictly aimed at the youth market in an attempt to introduce them to that galaxy far, far away. 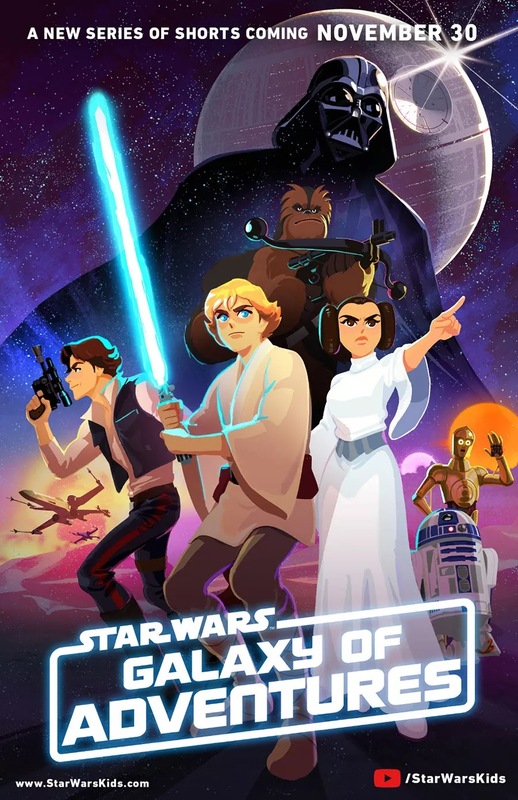 The Mouse House is officially launching a new series of animated shorts called Star Wars: Galaxy of Adventures that will retell classic story lines in short animated movies. The first six animated bits are going to launch on November 30th on a brand new Youtube channel called Star Wars Kids. From what we can see so far, the shorter run times will be aimed at today's children that haven't had the Star Wars experience with their parents or family members yet and will hopefully get their interest in the characters and adventures. Check out the trailer below. We love the look of the animation so far!